Kraft has a long history of operating in Britain. Kraft opened an office in Liverpool with two staff to handle sales of their products, which were imported from Canada and America, in 1924. Demand proved sufficient to begin production at a factory on Silverdale Road, Hayes, Middlesex from 1926. Production of Dairylea cheese had commenced by 1932. Kraft had enlisted the prestigious J Walter Thompson advertising agency to promote its wares by 1934. Promotional material focused on the taste consistency of Kraft cheese. Kraft processed large quantities of cheese for the Government during the Second World War. Kraft produced only four products in Britain in 1950: cheese, Dairylea, tomato ketchup and salad cream. Production was relocated to a new factory at Kirkby, Liverpool in 1957. It employed over 1,500 people on a 53 acre site. Kraft claimed it was “the most modern food factory in Britain”. 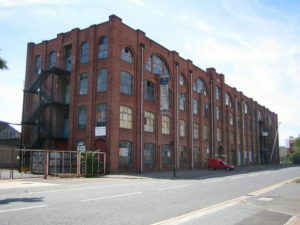 The Hayes factory, across a six acre site, was sold to T Wall & Sons. The relocation allowed Kraft to expand its British product range to include the Kraft Dinner, Velveeta cheese, tomato chutney and margarine. Kraft opened a dairy plant at Haverfordwest, Pembrokeshire in 1962. Kraft acquired Brains, a fresh meat company, in 1966. Kraft held 70 percent of the British processed cheese market by 1968, and Dairylea was the leading processed cheese. Although Unilever dominated in British margarine, Kraft held about ten percent of the market. Kraft Foods UK had a turnover of £54 million in 1973. The company employed 4,350 people. The head office had been relocated to Cheltenham by 1978 and the company employed around 3,000 people across the country. Kraft closed its edible oil plant in Trafford, Manchester with the loss of 380 jobs in 1982. Cheese production was relocated from Kirkby to more modern plants in Germany and Belgium in 1983. 930 out of 1,150 jobs were lost, as the plant would concentrate on margarine production and distribution work. Kraft also announced that it was looking for a buyer for the Haverfordwest plant. In total, the Kraft UK workforce was reduced from 3,200 to 1,850. A further 60 jobs were lost at Kirkby in 1985. Kraft was acquired by the American tobacco company Philip Morris in 1988. Philip Morris had acquired General Foods in 1985, and they combined the Bird’s custard and Angel Delight brands, as well as a factory in Banbury, Oxfordshire, with the Kraft UK business. Kraft acquired Terry’s of York from United Biscuits for £220 million in 1993. Kraft sold its European margarine assets, including the 53 acre Kirkby factory and the Vitalite margarine brand, to Unigate for £77.25 million in 1996. Premier Foods acquired Bird’s custard and Angel Delight from Kraft for £70 million in 2005. Kraft acquired Cadbury of Bournville for £11.9 billion in 2009. The Cheltenham offices were closed in 2010 and relocated to Bournville. The company was renamed Mondelez from 2012. Previous PostSticky situation: James Keiller & SonNext PostWhich mint came first: Polo or Life Savers? Please settle an argument and tell me where Kraft factory was in Hayes Middlesex in the 1950s. My grandad moved from South Shields to Hayes in 1935 when he was offered the job of engineer at Kraft Cheese . The factory still stands in Silverdale Road.It can be seen as you leave Hayes Station for Paddington on the left hand side of the train. The building is listed and plans are to turn it into luxury apartments. Silverdale Road is absolutely correct.